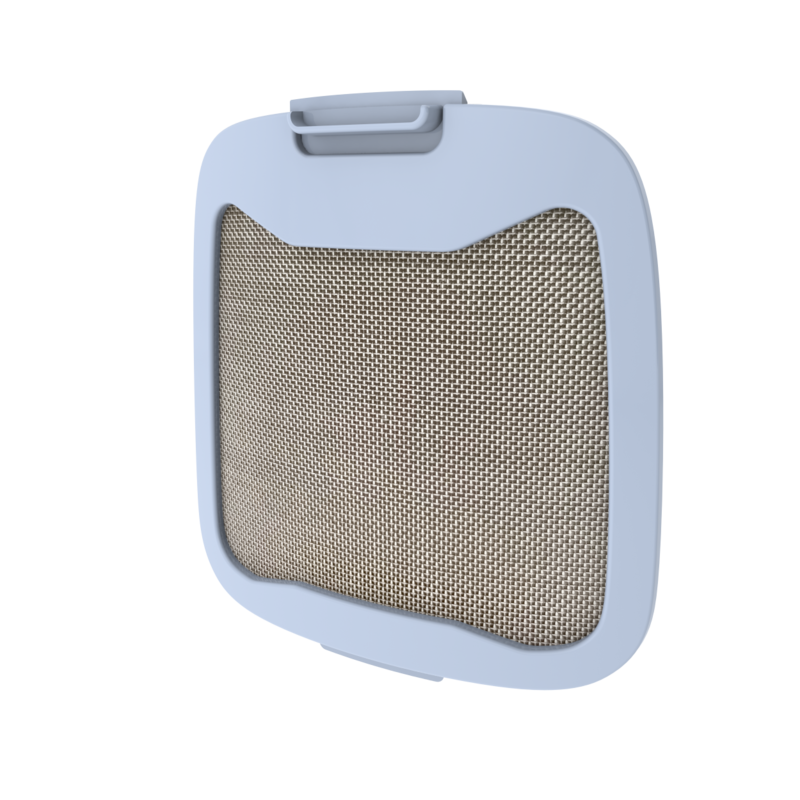 The removable particle filters cover the air intake screens to filter out dust, pet hair, and other air-borne contaminants. They are washable and reusable, making them one of the eco-friendly features of Inogen concentrators. Users should wash and dry the filters weekly (more often in very dusty environments) to help keep the concentrator working properly. Inogen recommends replacing the filter when it become misshapen or when the screen is damaged.